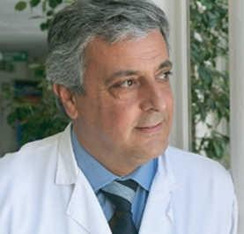 Juan Carlos García-Valdecasas, MD, PhD. is a Professor of Surgery at the University of Barcelona and Head of the General and Digestive Surgery Service and the Liver Transplant Unit. He specializes in Live Donor Liver Transplants and is one of the world´s leading names in hepatobiliopancreatic surgeries. Graduating from the School of Medicine, University of Barcelona, he received his medical degree in 1975. He was an intern and chief resident at the Hospital Clinic of Barcelona and was trained in liver surgery and transplantation at Addenbrooke’s Hospital in Cambridge (UK), Groningen (Netherlands) and Pittsburgh (USA). In June 1988, he performed the first liver transplantation and since then the Institution has performed more than 1700, being one of the most active centers in Europe. The Unit performs any type of transplant, pioneering either living or non-heart beating donation liver transplantation in Spain. His Group is currently a world reference in DCD Donation. He is member of: The European Society of Organ Transplantation (ESOT), the Catalan Society of Transplantation (CST), and The Transplantation Society (TTS). Former Vice President of the European Liver and Intestine Transplantation Society, (1994-2000), and Past President of the International Liver Transplantation Society (ILTS. 2012-2012). He is also a member of the Editorial Board of the Liver Transplantation Journal. If you would like to arrange a consultation with Dr. García-Valdecasas in order for him to evaluate your case please contact us at info@medabcn.com or click here to make your enquiry. If you don’t received a response within 48 hours, please double check your junk mail just in case!